Perched atop one of the most prime Lincoln Center modern condominium buildings, this stunning apartment features unparalleled 360 degree views of Manhattan and beyond. 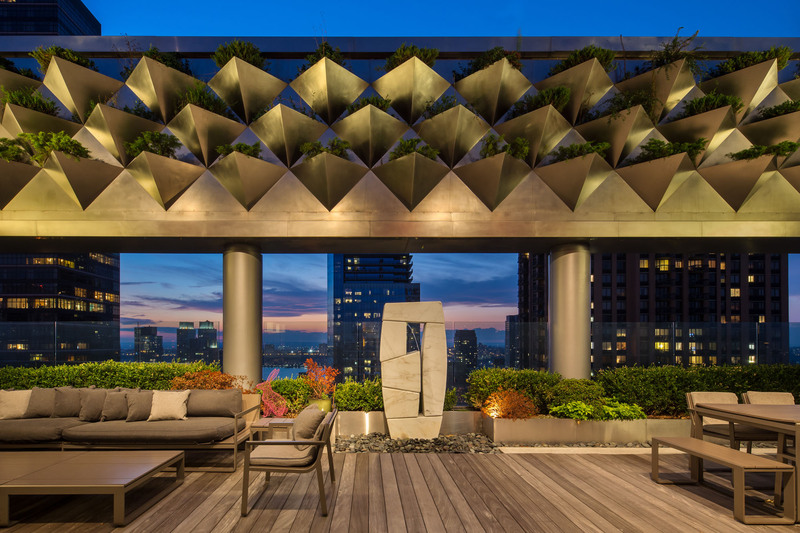 This one-of-a-kind, contemporary 3-story penthouse with three entrances – one on each of the building’s penthouse levels – contains 16 rooms, totaling an impressive 10,100 square feet (8,100 interior and 2,000 exterior square feet). 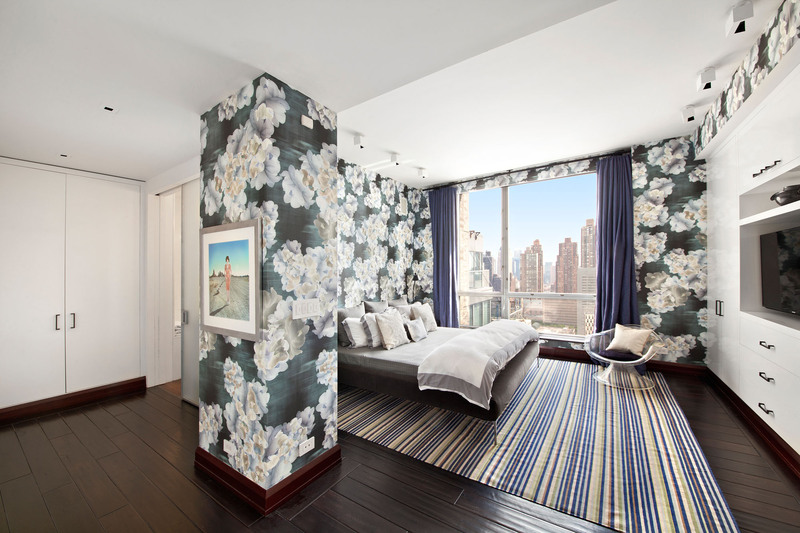 The 7-8 bedrooms contain nine full bathrooms, plus a powder room, and there are two kitchens. 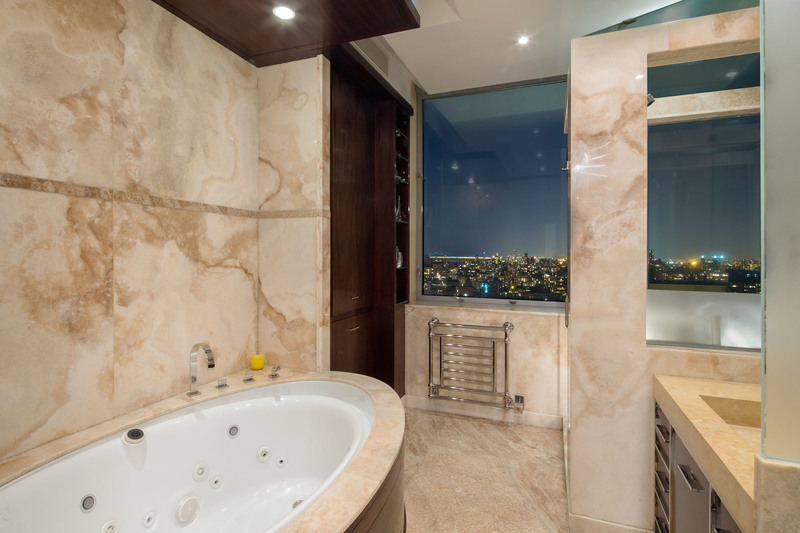 A peaceful retreat, the master bedroom suite has dazzling views and appointments, a generous walk-in closet and a large master bathroom which uses over 25 slabs of onyx with his/her sides, a huge two person all-glass enclosed shower with great northern views. To enhance this property the two massive, landscaped and irrigated terraces designed by Thomas Balsley Associates together provide extraordinary outdoor living with views North, South, East & West, large entertaining space, a unique, one-of-a-kind elevated planter system and immense electronic sliding doors one of which was brought up 33 stories to the home via crane. 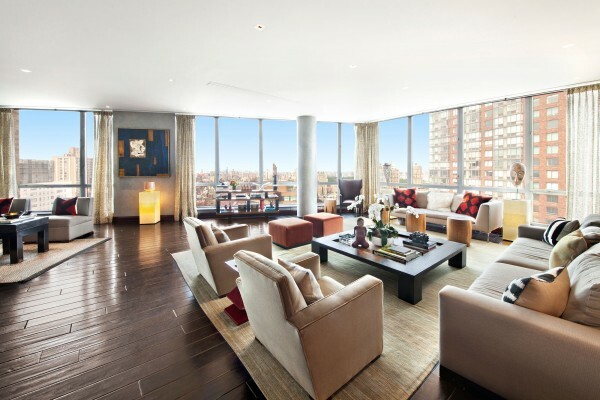 The estate atmosphere provides panoramic views from an immense grand room of over 1,500 square feet containing two sitting areas, over 65 feet of floor to ceiling windows, a free-floating, four-sided bronze and glass fireplace, stone and wood bar, and drop down movie screen with hidden speakers and black-out shades. 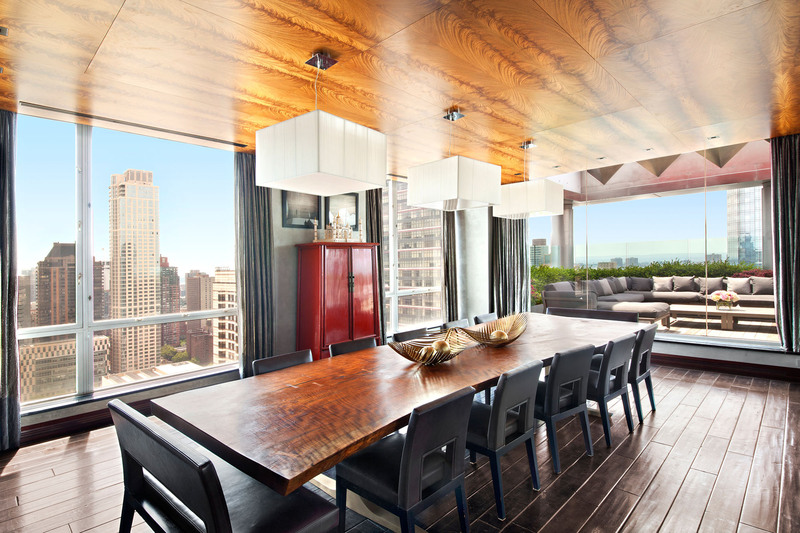 In the bronze and wood paneled study with park views, there is a unique cantilevered free-floating double stone desk with pop-up computer screens, and custom bookshelves and cabinetry and custom bronze art lights. A particularly unique advancement is the large TV on a custom lift that recesses into the paneled ceiling and also pivots when in the down position to allow for different viewing angles from different parts of the room. 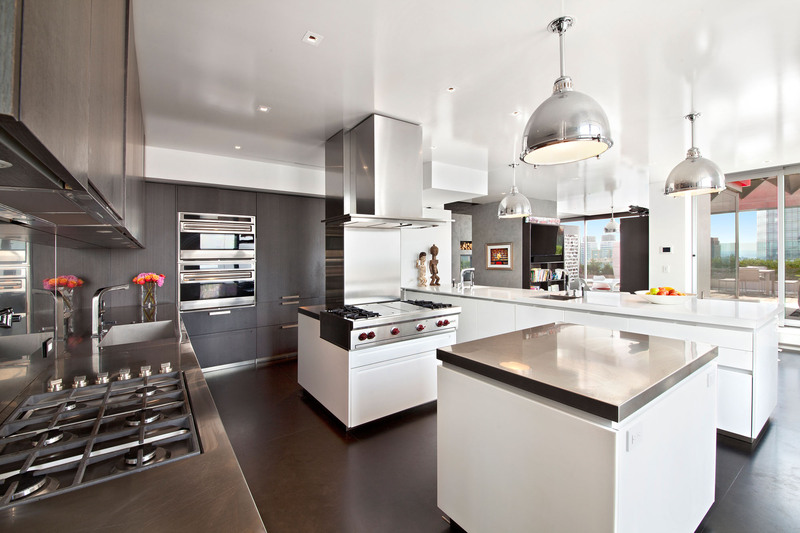 The massive main kitchen designed by Boffi utilizes stainless steel, Corian (including on the walls) and slab stone construction with double stoves and double ovens, two refrigerators, three sinks, and three dishwashers. The large dining room with a double-sided fireplace is perfect for entertaining intimate parties or grand scale events. 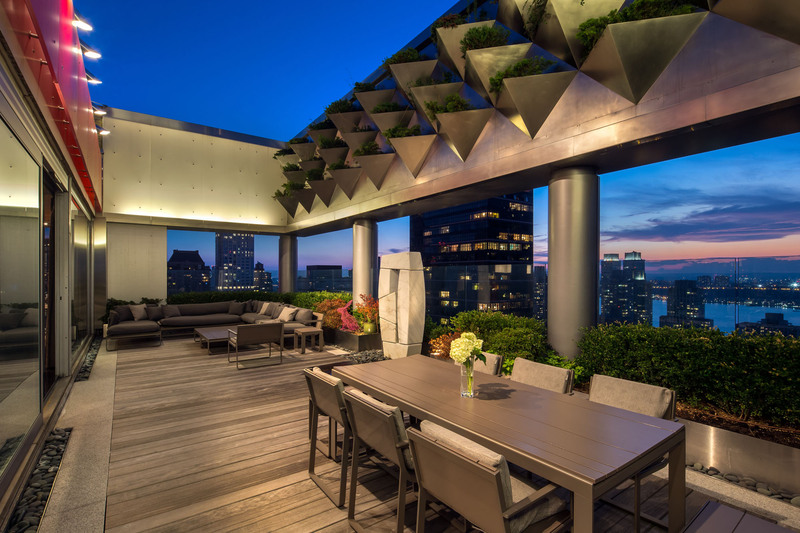 It features a paneled, exotic wood ceiling, floor to ceiling frameless glass panels overlooking one of the terraces and has Southern views over Lincoln Center and the Freedom Tower. 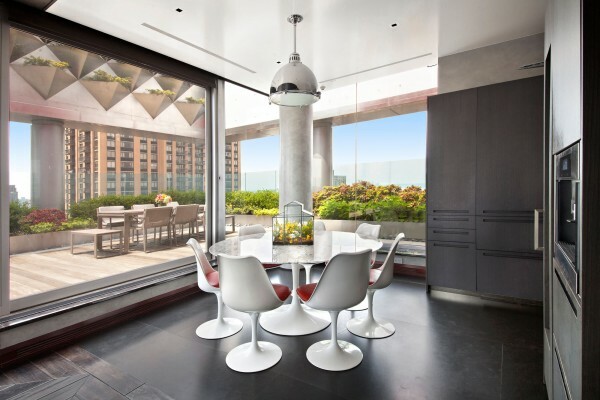 The breakfast room has direct access to one of the terraces providing north and west views overlooking the Hudson River and the Central Park reservoir and has a further two refrigerators and large wine cooler and second built in coffee machine. 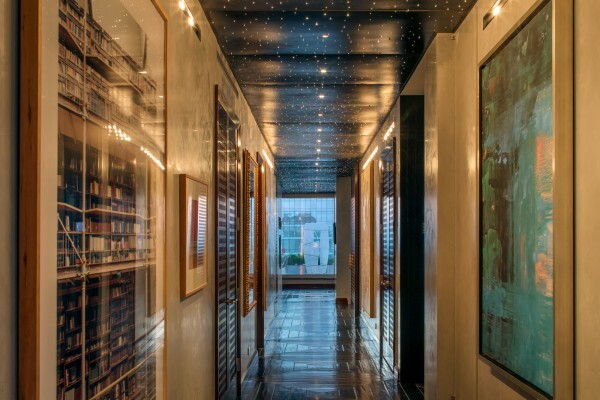 A long hallway with art walls and specially designed art lighting directs attention to the custom bronze, fibre-optic ceiling and diamond-patterned wood floor. 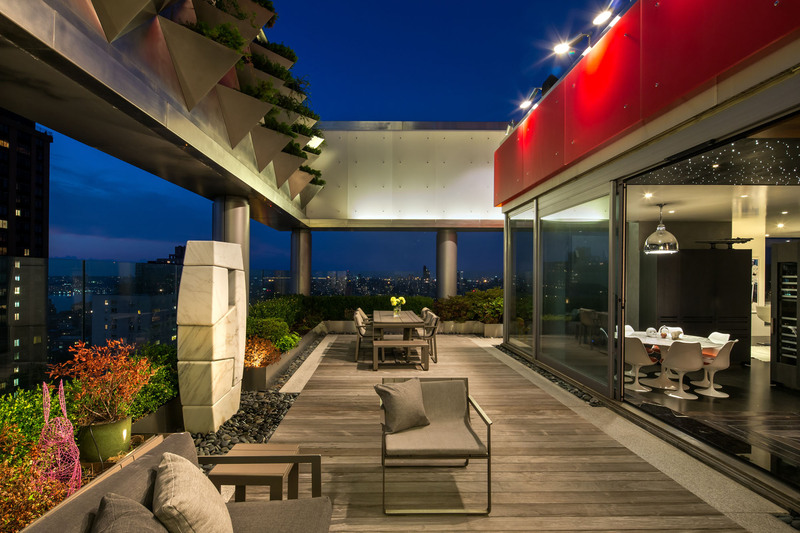 Only the finest materials and custom design elements were used. 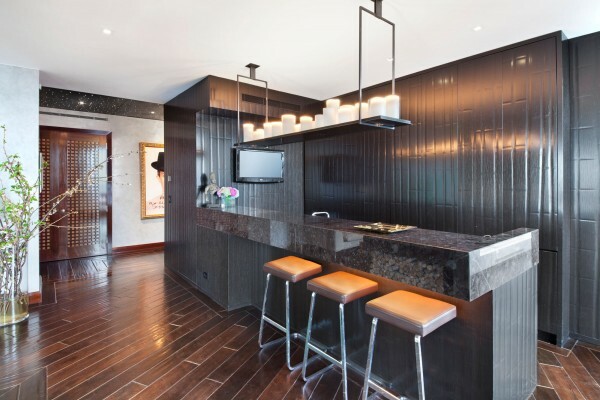 Notable features: distressed, pillowed-edge American Walnut flooring, custom, hand-made solid wood doors, a free floating steel and ebony staircase, stone slab bathrooms, Crestron and Lutron systems throughout with a 16-zone security camera system, electronic shades, radiant heat and central HVAC with a built in HEPA filtration system with 18 separate zones and a central humidity system. 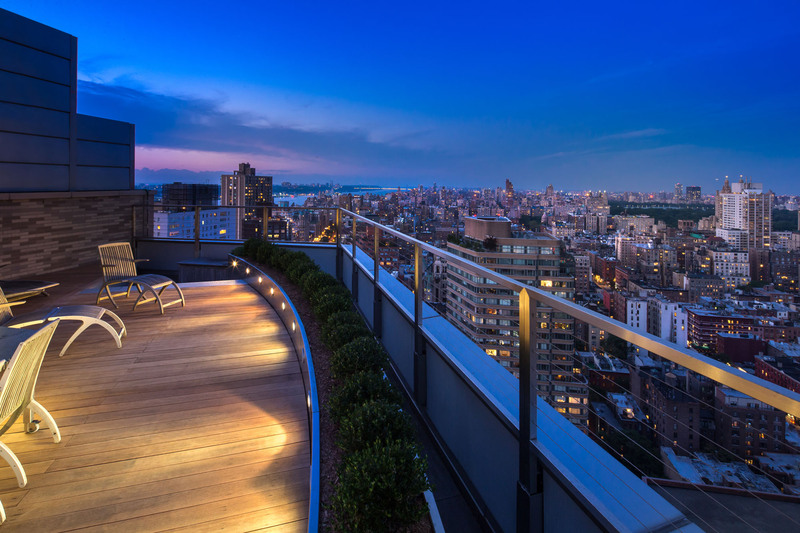 This full-service building has a 24-7 doorman, concierge, security staff, live-in resident manager, in-house maintenance and repair team totaling over 25 full-time staff members who collectively provide the ultimate in luxury services for their residents. 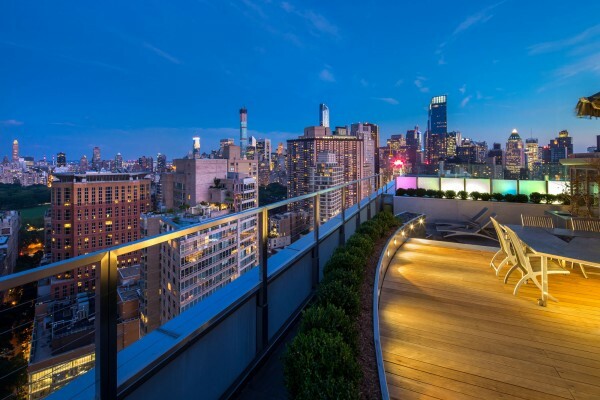 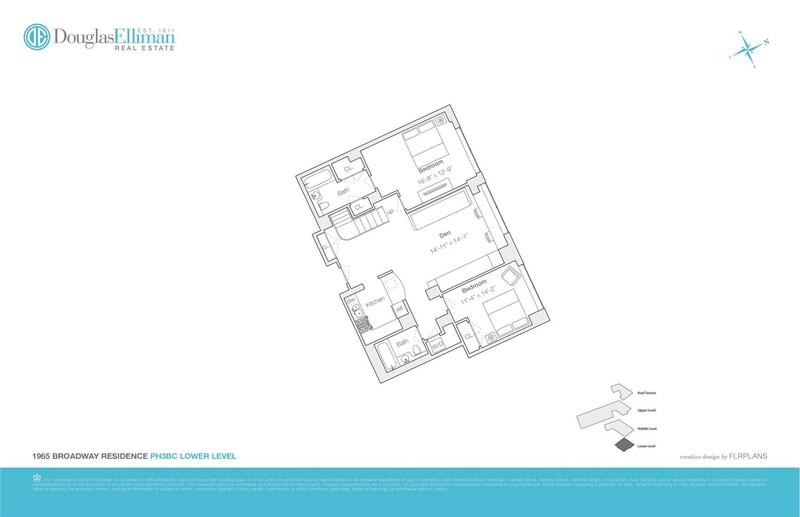 The building is conveniently located next to Lincoln Center and the Apple Store, across from the Reebok gym and is a very short walk to Riverside Park and Central Park, mid-town Manhattan and all the famous food stores and retail destinations along the Upper West Side.